I don’t believe there is a single human being that during an argument has not thought or exclaimed “Really? That’s your argument?” or something along those lines. The saying/attitude is meant to convey the emotional response (often contemptuous) to the identification of the opponent’s argument as weak and unworthy of debate. 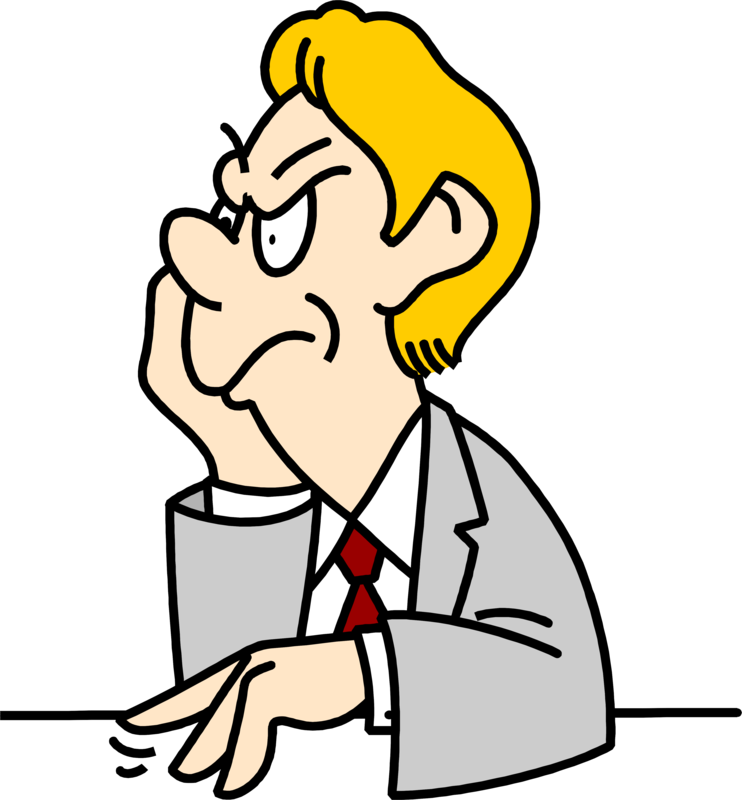 We seem to be very critical about other people’s reasoning when it does not match our own. On the other hand, we also seem to be a little more indulgent with the strength of our own arguments. This phenomenon has been dubbed “selective laziness”, as one is not so diligent in applying the stringent rules of rational thinking to his/her own line of argumentation. But what happens when the argument that one so easily dismisses as invalid is one’s own? Trouche et al. 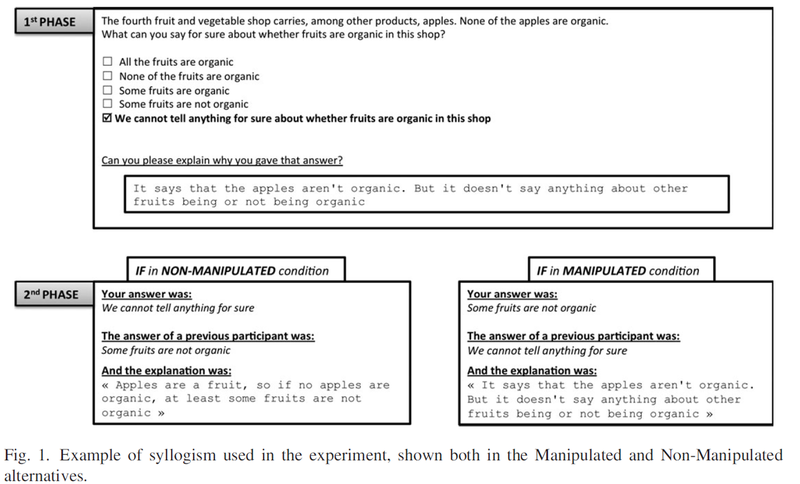 (2015) managed to fool 47% (115 individuals) into believing that the arguments for a reasoning choice were their own, when, in point of fact, they were not (see Fig. 1). When asked to evaluate the “other” argument (which was their own), 56% (65 people, 27% of the whole sample) “rejected their own argument, choosing instead to stick to the answer that had been attributed to them. Moreover, these participants (Non-Detectors) were more likely to accept their own argument for the valid than for an invalid answer. These results shows that people are more critical of their own arguments when they think they are someone else’s, since they rejected over half of their own arguments when they thought that they were someone else’s”. (p. 8). I had to do this math on a PostIt, as authors were a little bit… lazy in reporting anything but percentages and no graphs. Fig. 1 from Trouche et al. (2015). © 2015 Cognitive Science Society, Inc. The authors replicated their findings to address some limitations of the previous experiment, with similar results. And they provide some speculation about the adaptability of ‘selective laziness’, which, frankly, I think is baloney. Nevertheless, the paper quantifies and provides a way to study this reasoning bias we are all familiar with. Posted on October 15, 2015 March 12, 2016 by NeuronicusPosted in 2015, Humans, PsychologyTagged 2015, argumentation, belief, choice blindness, humans, reasoning, resoning bias, selective laziness.